Rotary Event Chair Allatia Harris, and past president Derrill Painter, pull the winning Raffle ticket at the end of the afternoon, after much anticipation and drama. The Winner was Shai Bigelow and husband Randall Rojas. They have their choice of a new Toyota pick-up or Sedan from Community Toyota. 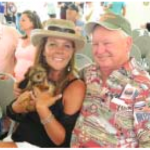 NORTH SHORE – A large crowd gathered at the Rotary North Shore pavilion on Wallisville last Saturday, for the 39th Annual Catfish Fry & Crawfish Boil. Chairwoman Allatia Harris declared it a big success, with over $300,000 raised for the club’s community events for the coming year. Live and silent auctions had hundreds of big ticket items, eagerly bid on by the audience. 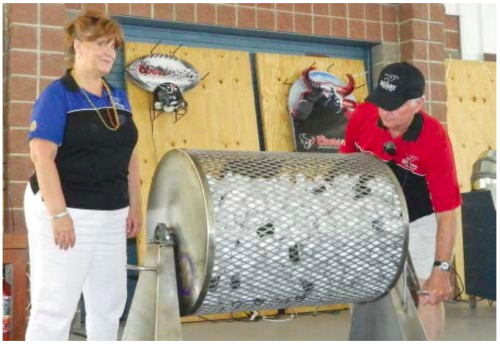 About 1500 raffle tickets at $100 each were sold, with 20 valuable prizes awarded, including a new vehicle. And over a thousand catfish and crawfish dinners were served, as the afternoon progressed. 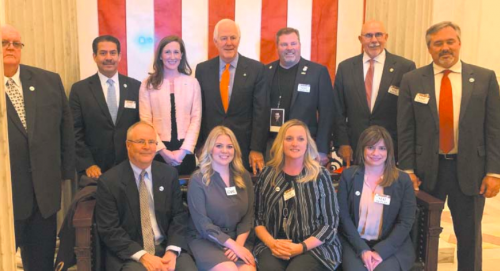 Corporate sponsors included San Jacinto College & Foundation, Community Toyota, Galena Park ISD Education Foundation, and others. Club members thanked the community for the overwhelming support of this event, according to president Matt Davis. 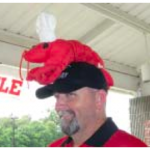 Nothing like a Lobster Hat to set the mood for a jovial time at the Rotary Fry & Boil. ROTARIANS Carol & Chuck Radney brought one of their friends to the Event.